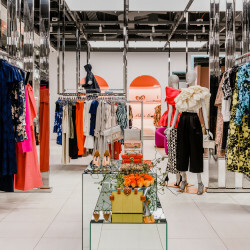 Fall fashion releases are happening, no matter how much your bank account is trying to avoid it, which means we’re scoping out our favorite brands for the newest pieces we just have to have. I personally think that adding a bag to your wardrobe is the ideal treat to yourself—you can style it a million different ways, and girls will stop you on the street demanding to know where to you got it. Isn’t that what we all dress up for everyday anyway? With that in mind, check out the 12 new bags we’re adding to our carts right now. 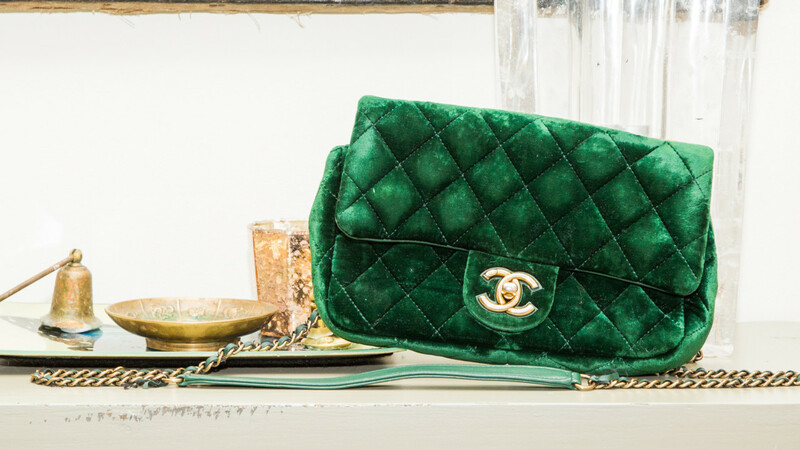 Kara Plaster Baby Pinch Shoulder Bag: Full disclosure, I already own the larger version of this bag in my absolute favorite shade of all time—SLIME GREEN. 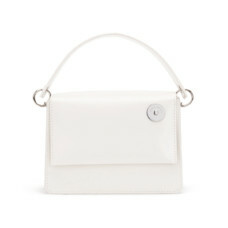 But I think an adorable mini version in goes-with-everything white is the perfect addition to my fall wardrobe. The interior also has the best organization of any bag I own, fun fact, and the bold hardware just makes me heart sing. 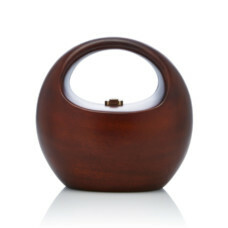 Staud Nic Bag Lavender Patent: I gasped when I saw this bag for the first time. Then I swore up and down that I would find someone to gift it to me for my birthday next week. 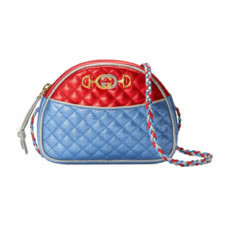 Even if I have to treat myself, I will own this gorgeous confection very soon. I mean, the top handle, the lavender color, THE FEATHERS. Swoon. Stuart Weitzman The Shoebox Shoulder Bag: I swear by Stuart Weitzman heels for evening, so the fact they’re making bags now has me *quite* excited. 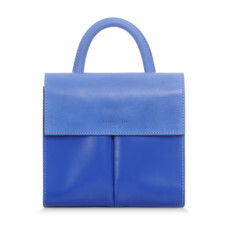 This dreamy jewel tone style in a boxy silhouette is calling my name. Léon Flam Voltige Bag: I recently came across this aviation-inspired French label, and the result is undeniably dangerous to my bank account. 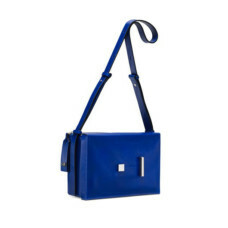 The Voltige seems to meet everything on my fall handbag checklist: an adorable baby size, a ladylike top handle, and a gorgeous blue leather exterior. 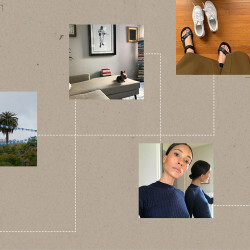 It’s also got a hint of French countryside chic, perfect for looking like I spent my summer days exploring the best wineries France has to offer. 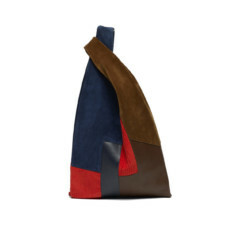 Hayward Patchwork Corduroy Shopper: There’s something about corduroy that’s just cozy. Pair it with some suede and leather patchwork, and you’ve got a full on *look*. 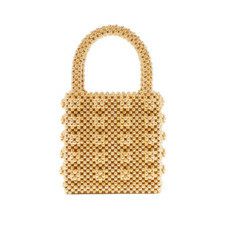 I’ve been gravitating towards textured handbags this coming season, and this shopper has definitely caught my attention. 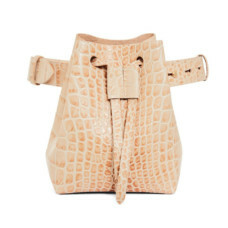 Nanushka MINEE Mini Bucket Bag: A mini bucket belt bag covered in croc leather? I’m sold. A piece that combines two of the hottest trends—belt bags and bucket bags—has got me whipping out my credit card faster than you can say, treat yourself. I’m currently setting a reminder as I write this to preorder this stunner before it sells out instantly, like its chocolate brown counterpart. 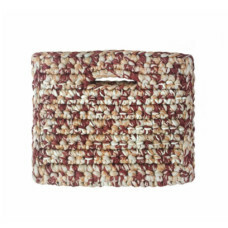 Chloé Small Tess Bag: This fall, I’m taking “cowboy chic” to the next level. 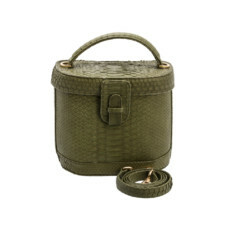 Anything Chloe is great, but this olive green mini bag is perfect for any fall look. 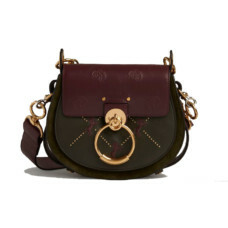 The embroidered horses and gold hardware make this bag a perfect statement piece for the fall. I’d pair this with my vintage Frye boots, an ankle length skirt and call it a day. Ximena Kavalekas Jenny Army Green: Is it obvious that I’m obsessing over olive green for the fall? I like this structured bag because it holds its place (without having to stuff it with tons of tissue paper) and design is super versatile for any fall activity. The color is perfect for a pre-fall transition, so no need to wait until summer’s over! Binge Knitting Sandstone Clutch: Don’t get me wrong, I’m a HUGE fan of the structured, monotoned fall bag. But, I always like incorporating my “boho, seaside chic” style whenever I can. Fall 2018 trends call for crochet to also be “in” this year, so of course I head to Binge Knitting for some inspo. I really like how the brand makes crochet perfect for summer and fall, without necessarily having to fully change their design and aesthetic. I’d pair it with some black booties, my favorite camel coat and a black wool sombrero (can you tell I’ve been brainstorming this outfit for a while?). Shrimps Antonia Faux-Pearl Embellished Bag: I deeply regretted not buying the Antonia on sale when I had the chance. That is until I discovered the gold version for Fall and all my hope and dreams came true! I would wear this bag for any and every occasion, day or night, office or after party. Gucci Laminated Leather Mini Bag: While scanning through the newspaper over the weekend my attention was quickly drawn to all the pretty fashion ads. Enter Gucci F/W 2018 and now I NEED a laminated crossbody bag. Rocio Coco Handbag: Rocio has recently been on my radar, and fall seems like just the time to invest in one of the brands creations. I have been carrying a plastic tote all summer so I am fully prepared to take on the challenge of a strapless bag. I’m already planning what gloves I can pair with this guy.